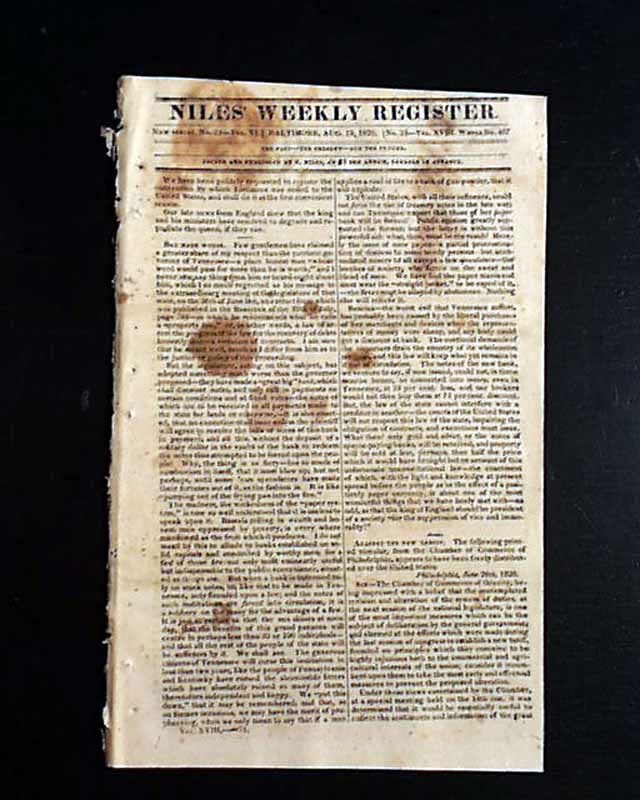 NILES WEEKLY REGISTER, Baltimore, Aug. 19, 1820 Inside has four pages concerning the; "Missouri Question--Speech of Mr. Darlington, of Penna." 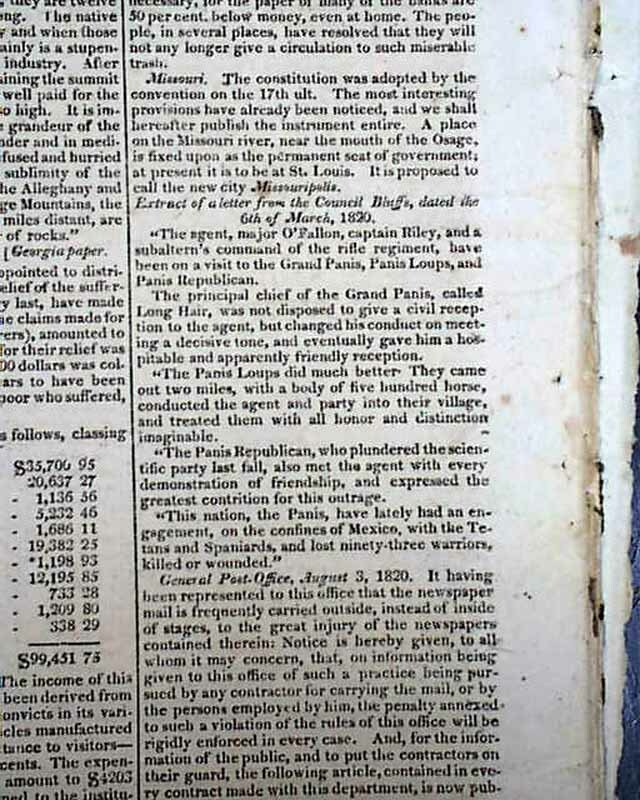 The back page has a brief yet interesting item on: "Missouri" which notes: "The constitution was adopted by the convention of the 17th...A place on the Missouri river, near the mouth of the Osage, is fixed upon as the permanent seat of government; at resent it is to be at St. Louis. It is proposed to call the new city Missouripolis." 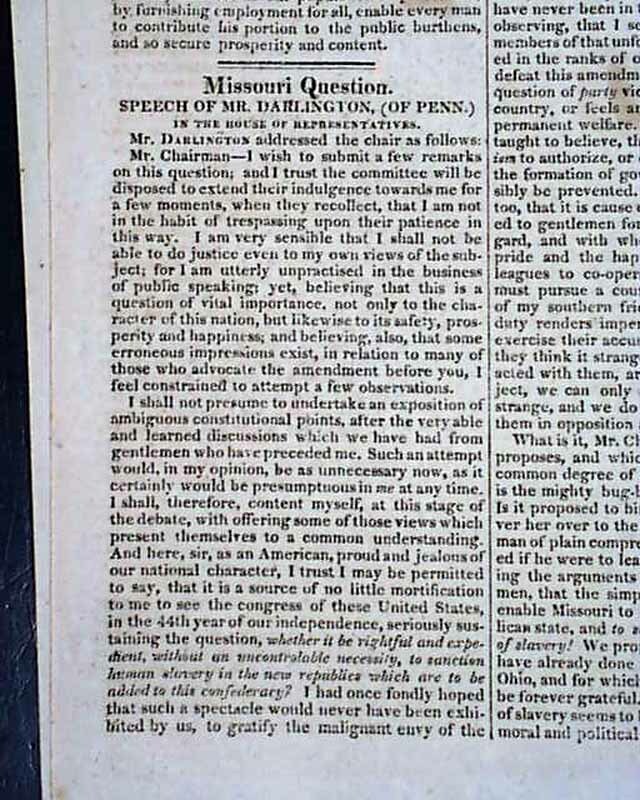 Actually Jefferson City would be the name of the city, and St. Charles actually served as the temporary capital until "Missouripolis" could be built. 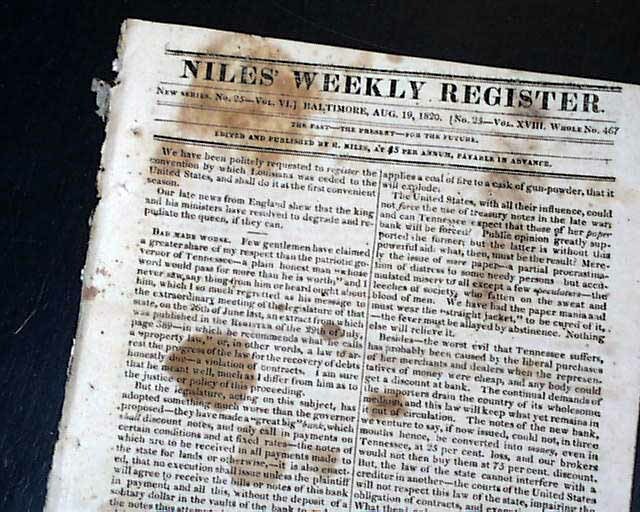 Sixteen pages, 6 by 9 1/4 inches, various foxing throughout, two leaves are close-trimmed causing some shaving of letters but not to mentioned reports.